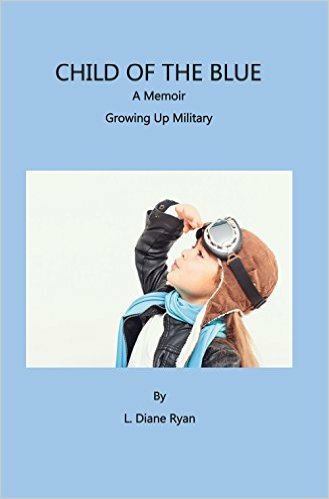 Excellent Memoirs Deal – A Peek into America’s Golden Years and Growing Up as a Military Child in the 1950’s! Excellent $1 Memoirs Deal of the Day! *Child of the Blue, A Memoir – Growing Up Military (Deal, Not Free) by L. Diane Ryan. Price: $0.99. Genre: Memoirs Deal of the Day, Sponsor, Military History, 1945 – Present, Air Force, Veterans, Military Memoirs, Military & Spies. Rated: 4.9 stars on 12 Reviews. 102 pages. ASIN: B01A3OXIQK. Reviewers love it: Ms. Ryan has lived an extraordinary life! Reading this was like sitting on the patio with a dear friend, sipping wine and exchanging childhood stories! Her writing is very conversational, intelligent and engaging! Her story is one of a child growing up in America’s golden years, when all possibility was within our reach! I truly loved this book and the feeling of happiness and peacefulness she has captured so beautifully! *** $1 Memoirs & Military History Deal! *BEAST – A Slightly Irreverent Tale About Cancer (And Other Assorted Anecdotes) by James Capuano. Price: Free. Genre: Medical, Cancer, General. Rated: 4.8 stars on 22 Reviews. 219 pages. ASIN: B0096C300A. *17 Sheikh Hamza Street, Cairo: Life on the back of a sleeping crocodile by Avraham Bar-Av (Bentata), Susann Codish. Price: Free. Genre: Memoirs, Sponsor, Historical Fiction, Middle East, Africa, North Africa, Biography, Ethnic & National, Jewish. Rated: 4.8 stars on 9 Reviews. 387 pages. ASIN: B00V86LX88. Reviewers like it: This book is beautifully written and reads like an epic adventure! I like how the author used the thick solid threads of history and the silky fragile threads of feelings and intimacy, weaving them into a magnificent oriental carpet that transports us to a world of magic and adventure! *Light in Shadows: A Memoir by Adam Macdonald, Jocelyn Cornforth. Price: Free. Genre: Personal Transformation, Self-Help, Depression, Memoirs, Pathologies. Rated: 4.8 stars on 12 Reviews. 131 pages. ASIN: B008WVLUCQ. *Thomas Jefferson: The Failures And Greatness Of An Ordinary Man by Jonathan Sistine. Price: Free. Genre: Revolution & Founding, United States, American Revolution, U.S. Presidents, Presidents & Heads of State. Rated: 4.5 stars on 16 Reviews. 121 pages. ASIN: B01AUXWMWA. George Washington: First Guardian Of American Liberty by Michael Crawley. Price: Free. Genre: Revolution & Founding, United States, American Revolution, U.S. Presidents, Presidents & Heads of State. Rated: 4.2 stars on 24 Reviews. 234 pages. ASIN: B01AMSKOKA. The Life of Kit Carson: Hunter, Trapper, Guide, Indian Agent and Colonel U.S.A. by Edward Sylvester Ellis. Price: Free. Genre: United States, Philosophy, Religion & Spirituality, History. Rated: 4.1 stars on 20 Reviews. 176 pages. ASIN: B01BQ6Q6VS. Thomas Hart Benton by Theodore Roosevelt. Price: Free. Genre: Civil War, Revolution & Founding, 19th Century. Rated: 4 stars on 5 Reviews. 195 pages. ASIN: B01BX8TBKM. Free Book from NY Times Bestselling Author Brian Tracy! After being Keynote Speaker to 5 million+ people, Mr. Tracy shares his Free Ultimate Blueprint to Build a 6-Figure Career as a Professional Public Speaker! Free Guide to Making Money as a Public Speaker! 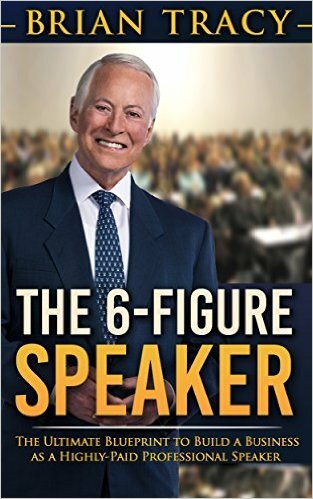 ***The 6-Figure Speaker: The Ultimate Blueprint to Build a Business as a Highly-Paid Professional Speaker by Brian Tracy. Price: Free. Genre: Professional Speaking Business Book of the Day, Sponsor, Running Meetings & Presentations, Communication & Social Skills. Rated: 5 stars on 1 Reviews. ASIN: B01CD98BUG. This is a book to help you achieve your personal and business goals faster than you have ever imagined! NY Times Bestselling Author Brian Tracy is one of the most successful Non Fiction authors alive. He shares his wisdom and insights on how to build a business as a speaker. He speaks to 250,000 people every year as Keynote Speaker and Seminar Leader. In all, he’s spoken to 5 million+ people. Who better to learn from? *True Ghost Stories and Hauntings, Volume 1: Chilling Stories of Poltergeists, Unexplained Phenomenon, and Haunted Houses (Deal, Not Free) by Simon Murik. Price: $0.99. Genre: True Ghost Stories Deal, Sponsor, Poltergeist, Ghosts & Haunted Houses, Occult. Rated: 5 stars on 1 Reviews. 82 pages. ASIN: B01CET6HD8. This unusual collection of true ghost stories features teenage girls playing with a Ouija Board late at night – and getting far more answers than what they were looking for, and much more! *Oprah Winfrey: 50 Life and Business Lessons from Oprah Winfrey by George Ilian. Price: Free. Genre: Women, Mentoring & Coaching, Biographies & Memoirs, Business & Money. Rated: 5 stars on 12 Reviews. 39 pages. ASIN: B01CCWMMYA. *The Life and Prayers of Saint Thomas Aquinas by Wyatt North. Price: Free. Genre: Catholicism, Biographies & Memoirs, Religion & Spirituality, Religious. Rated: 4.9 stars on 37 Reviews. 82 pages. ASIN: B009FDGC28. Greek Mythology: Ancient Myths of the Gods, Goddesses, and Heroes – Zeus, Hercules and the Olympians (Containing Images) by Elaine Margera. Price: Free. Genre: Greece, History, Europe. Rated: 4.9 stars on 8 Reviews. 54 pages. ASIN: B01C1LCWR4. Solving Cold Cases – Volume 2: True Crime Stories That Took Years to Crack by Andrew J. Clark. Price: Free. Genre: Crime & Criminals, Murder & Mayhem, Biographies & Memoirs, Criminals. Rated: 4.4 stars on 5 Reviews. 120 pages. ASIN: B0147HVQ7C.